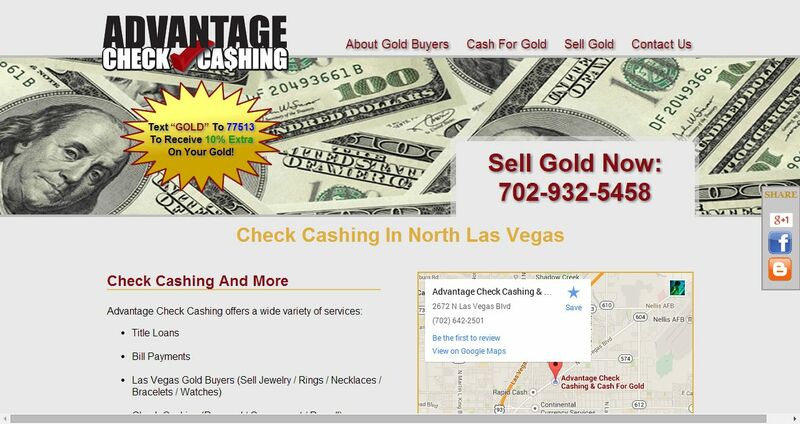 Advantage Check Cashing address, phone, website, hours of operation, and more. We are doing a whole lot more than just cashing checks in North Las Vegas. Besides coming to our convenient location to cash your check, where we offer you the best rates in town, our courteous and friendly staff will help you pay your bills. If you need to send money to someone or pay a bill, we also have MoneyGram. Visit us today at Advantage Check Cashing. We are your one-stop solution for many financial services.